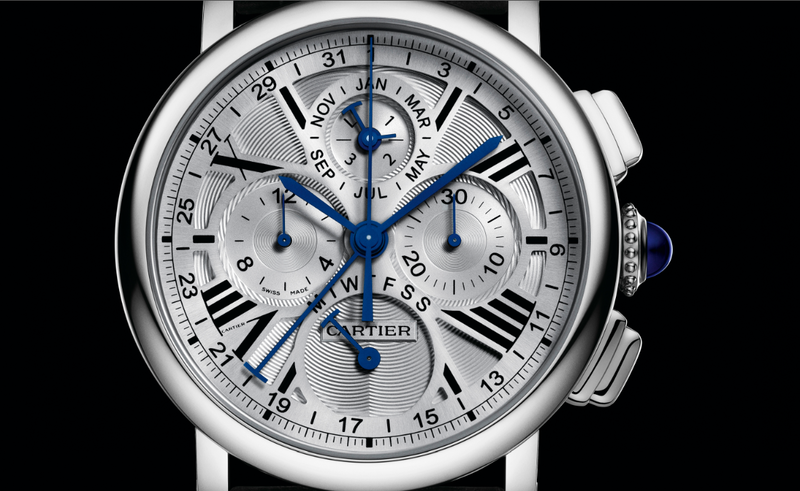 Cartier will unveil the Rotonde de Cartier Perpetual Calendar Chronograph at SIHH later this month in Geneva. This is their new in-house self-winding column wheel chronograph and perpetual calendar, caliber 9423 MC, based on the new 1904 CH-MC, with a retrograde perpetual calendar module added. 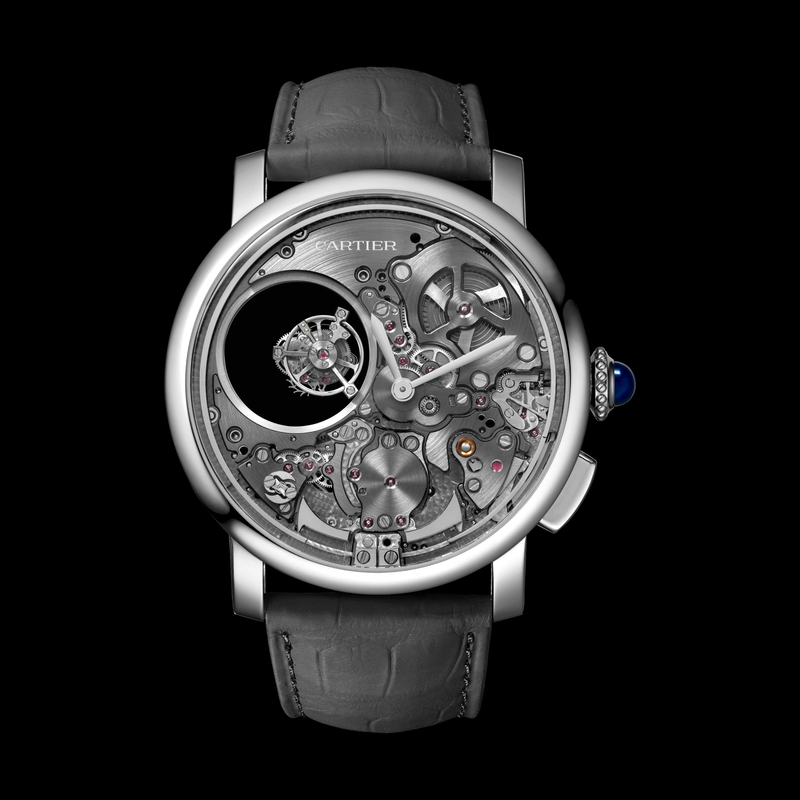 The new movement, which is based on the Cartier de Calibre Chronograph, now features a skeletonized rotor, and most notably — sunburst brushed bridges and more prominent anglage. Like the Cartier Calibre de Cartier Chronograph, the Rotonde de Cartier Perpetual Calendar Chronograph comes in a 42 mm round case, and while the chrono model is available in steel and gold, the perpetual model will only be available in rose or white gold. 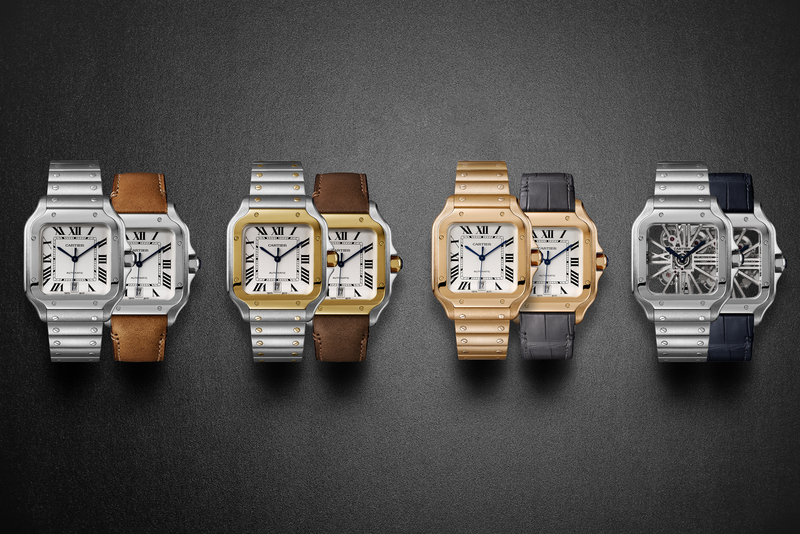 Caliber 9423 MC has 44 jewels, 445 components and a power reserve of 48 hours. Case height is 14.9 mm. Water-resistance 30 meters.